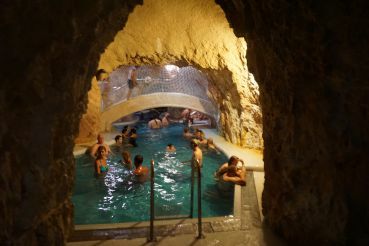 Barlang fürdö cave thermal bath is situated in the suburbs of Miskolc – Tapolca and it is almost the only complex in Europe of hydropathic baths with thermal waters. 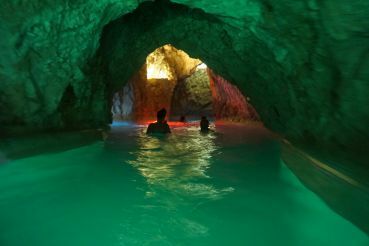 Another feature of this natural landmark is that it is located in caves, with healing springs have been there for thousands of years. 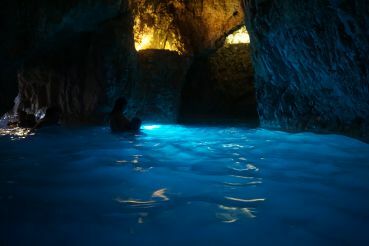 The water temperature ranges from +20° to + 36°, and the length of the cave is about 50 meters. 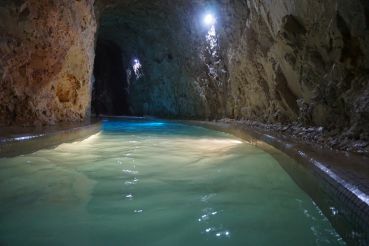 Pleasant turquoise water attracts not only lovers of water recreation, but also those who want to improve their health. After all, it contains elements such as iodine, bromine, calcium, magnesium, radon. 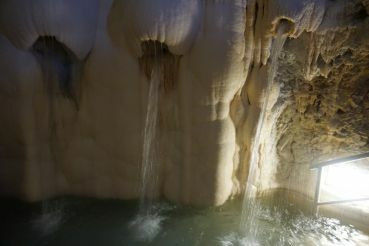 The healing effect of karst waters is complemented by a unique climate. 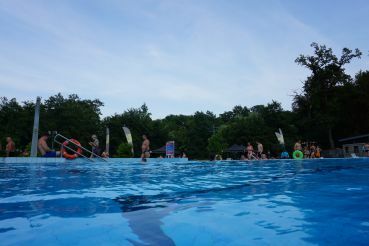 Indoor swimming pools, open all year round. 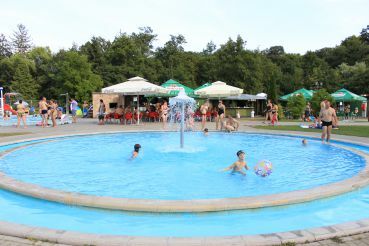 Two thermal pools with a temperature of 33-35 degrees. 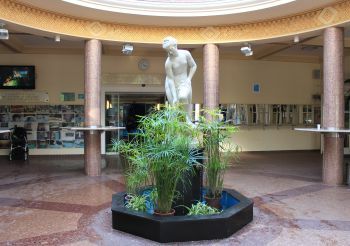 The Roman Hall with a temperature of 32 degrees. 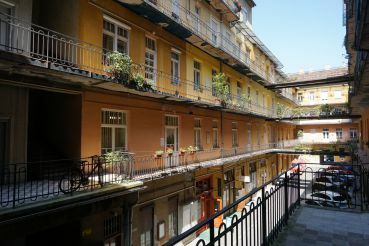 The Star Hall with a temperature of 32 degrees. 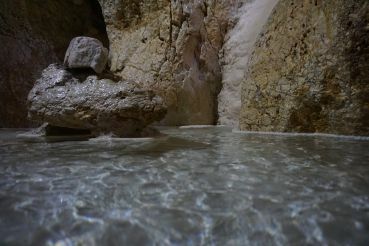 The old cave pool – temperature of 30 degrees. 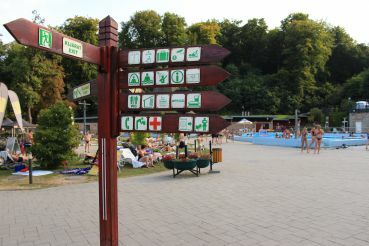 The bath – temperature of 29–30 degrees. 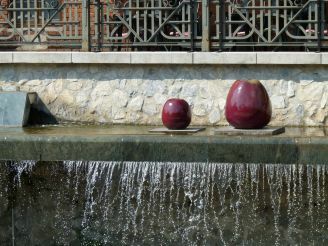 Two Finnish saunas with lava stones. 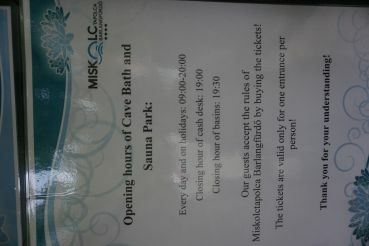 Steam room for 14 people. 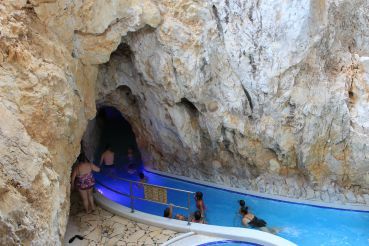 Not far from the cave bath there is the refined hotel "Avalon", in which you can have a great time. 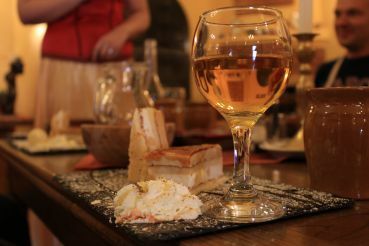 Another interesting place to stop, is in 10 minutes drive – the three-star hotel, restaurant and wine cellar "Aranykorona" ("Golden Crown"), located in the historic center of the city, at the foot of Mount Avas. 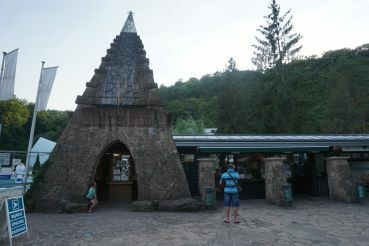 Tapolca can be reached by bus number 2, which departs from the bus station Búza tér in the city center. 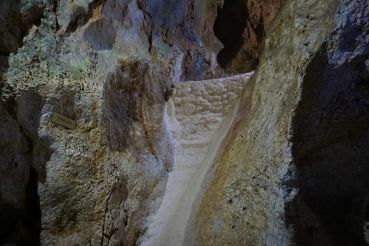 To find a cave bath, you need to get to Istvan Pazar Passage, 1. 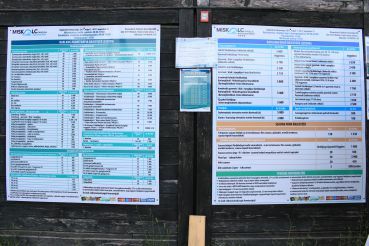 Opening hours: from 9:00 till 20:00.